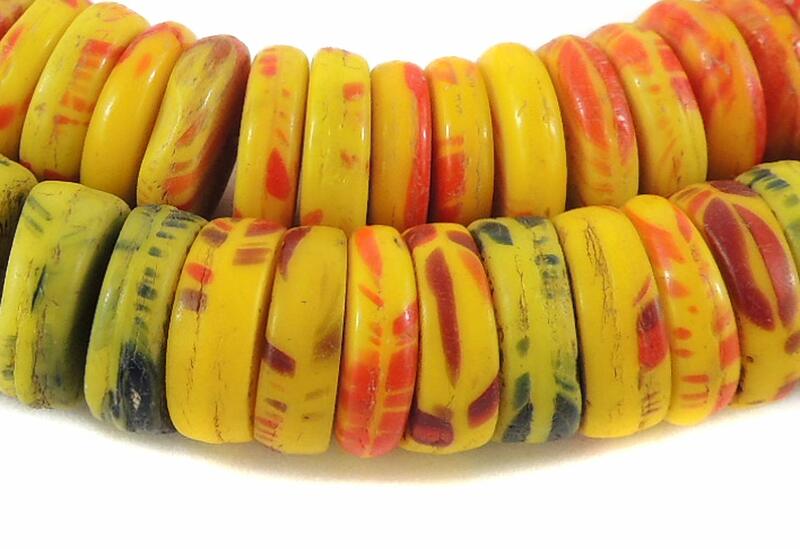 Bead Size 12-13 mm diameter. See picture with penny for size comparison. 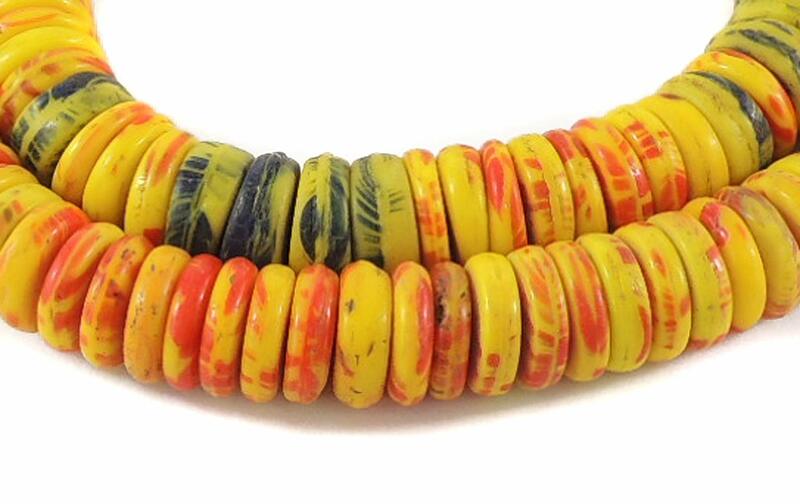 Colorful molded beads made by the Czech-Bohemian bead industries in the early 1900s for export to Africa. 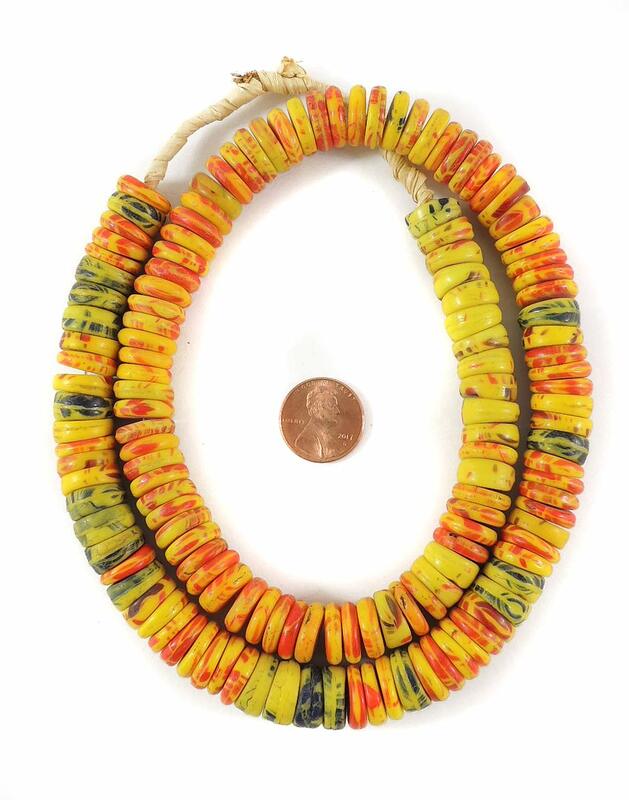 The African traders we know call them "Kancamba" beads.